In just about every industry there is a drive to reduce cost when bringing new products to market. With regard to the world of embedded design, there are a few things that have been proven to consistently allow for teams, both big and small, to reduce the cost and time associated with new widgets. 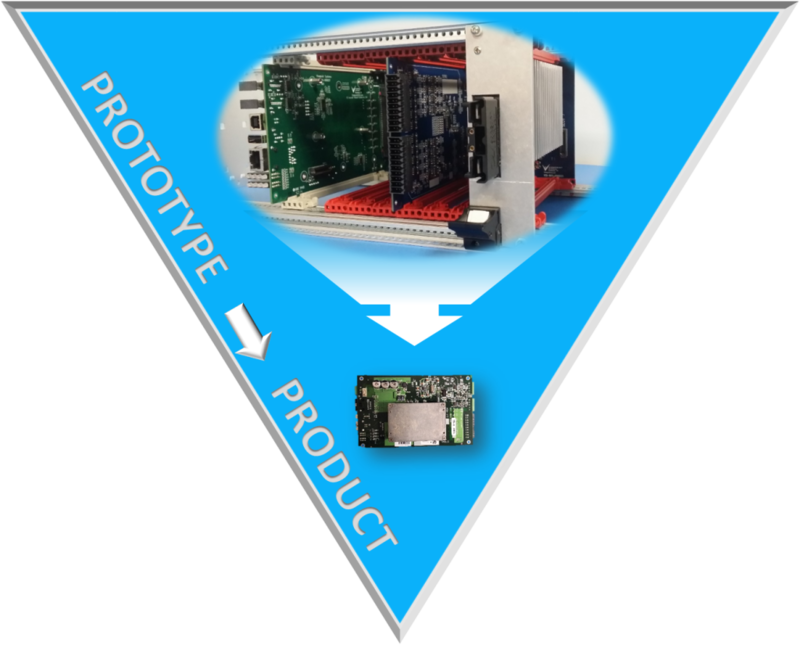 Tip 1 for Reducing Embedded Prototyping Costs – Reuse. Reuse. Reuse. In the world of software (embedded or not), coders do their best to prevent copy and pasting code. We do this by creating reusable code blocks (commonly referred to as functions, but come in a variety of different names) that can be called upon to perform tasks by various different parts of the system. Examples would include converting between data types, performing complicated file IO, or manipulating data structures. If the functionality of the code snippet has to change, you only have to change it in one spot. You don’t risk “copy pasting” errors by having very similar code all over with just slight differences. Testing complexity is significantly reduced. Reusing code is usually a pretty easily understood concept, and thus is implemented most computing projects. The other aspect of reusability to consider is the hardware perspective. This is commonly accomplished with libraries of components (Integrated Circuits, passives, interconnects, stencil artwork, etc.). Most embedded engineering teams have amassed quite the library of hundreds, thousands, or even tens of thousands of components that they have used over the years in their projects. Organizing that many components can really be a challenge. There are, luckily, a number of software providers that assist with managing this sea of schematic, layout, and mechanical drawings. Some even allow for parametric search and meta-data assignment for internal use. The *really* good ones help with BOM export/management so buyers aren’t flying blind when they go to actually purchase the components that designers put on the boards. Tip 2 for Reducing Embedded Prototyping Costs – Yea. Tools cost money. So does not buying them. Meanwhile they’re 6 weeks past their final milestone because there was a null pointer reference deep in their SPI Flash library, or they couldn’t see the overshoot on their clock because the scope only had 500 MHz of bandwidth. Sure, Michelangelo probably would have been able to paint the Sistine Chapel with a toothbrush, but for the rest of the artists out there, spending the money on high-quality brushes helps them produce a higher-quality output product. Engineers and their tools are no different. The next level of reuse is entire hardware designs, not just the single components within them. Although it does happen that hardware designs do not use software, with the increased complexity of ICs on the market hardware designs are becoming more and more depending on software to work correctly. This pairing of hardware and software in reusable, modular packages allows for massive reductions in cost and risk. Pulling from a library of proven hardware designs is not uncommon when moving between versions of products, or producing tech refreshes for existing product lines. This, of course, requires the team to first create the product from scratch, and then build off of it. Sounds great, but building up that library to pull from can be hundreds of thousands to millions of dollars – even for a small library.